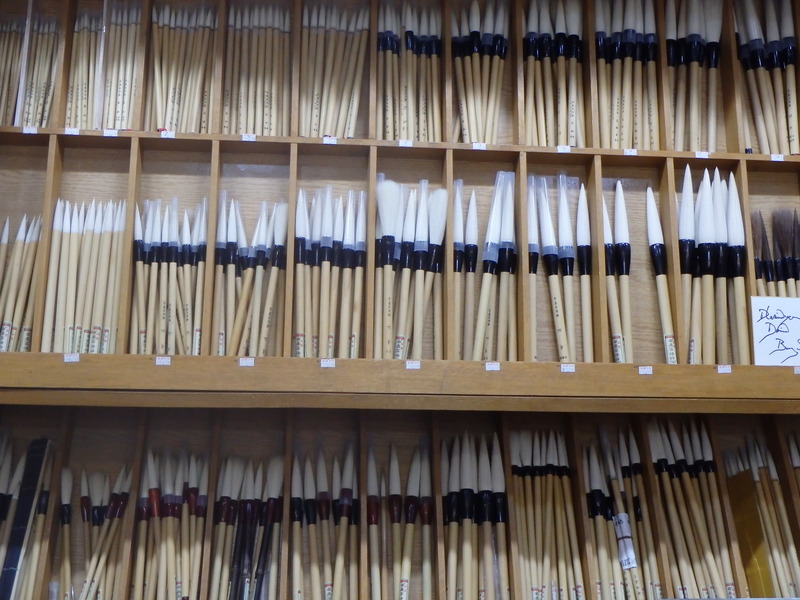 On Saturday Zach and I went to Insa-dong, a popular shopping district in Seoul, to have a dojang made. 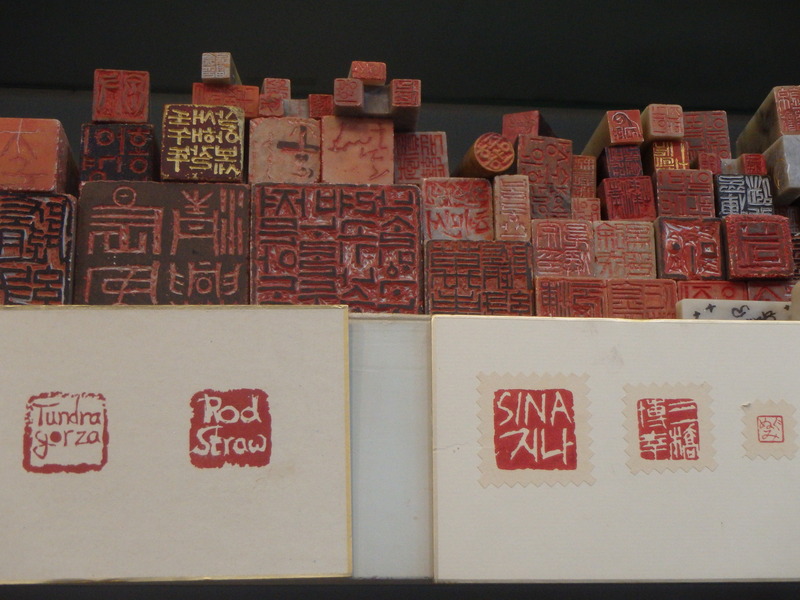 A dojang is a name stamp which is traditionally used to sign important documents. Although signatures have become more common, it is still felt that the dojang is more official. I have noticed them all over Korea, and I thought it would be a great reminder of our time here. 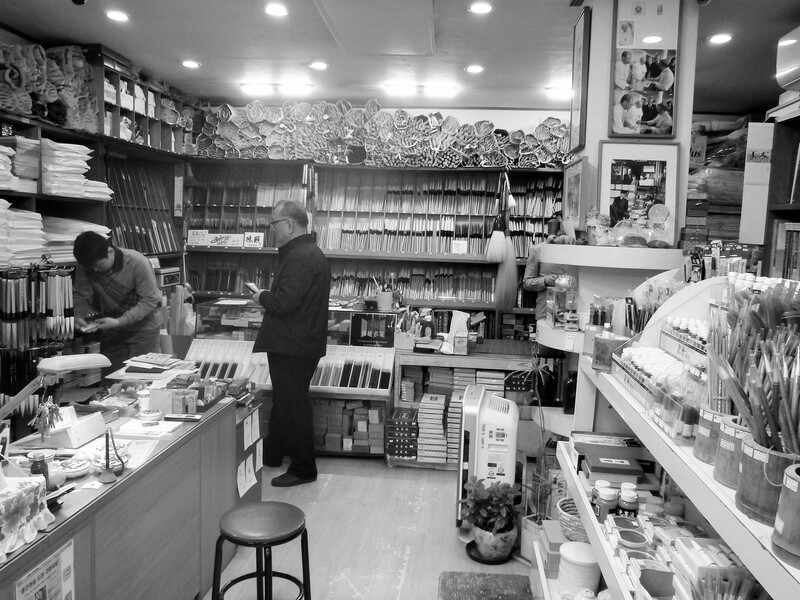 I did a bit of research online and found a rather well-known store in Insa-dong, Myung Sin Dang Pilbang (명신당필방). Their most famous guest was Queen Elizabeth II but they have made things for an array of diplomats, celebrities, and royalty. When we walked in the store wasn’t crowded. 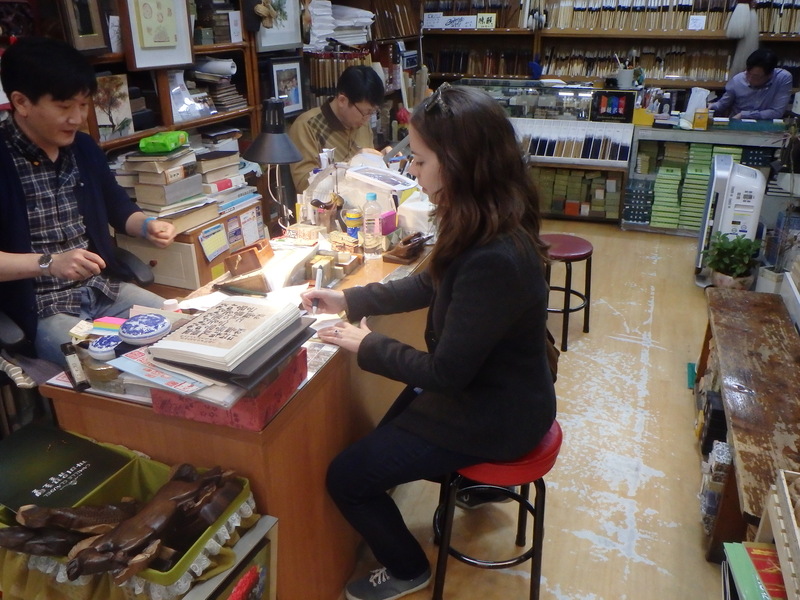 It had a distinct smell- like a musty antique store filled with art supplies. 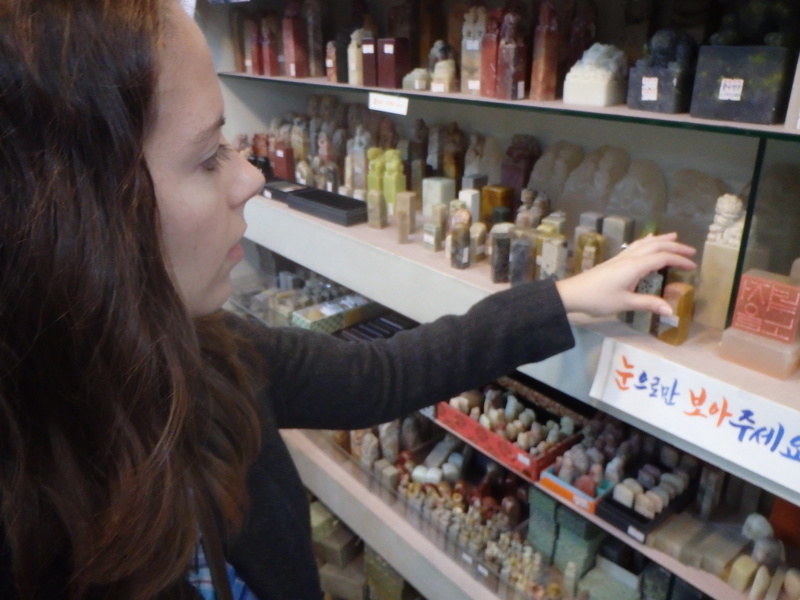 I told one of the workers that I wanted to buy a dojang so he led me to an area with various sizes of stones. 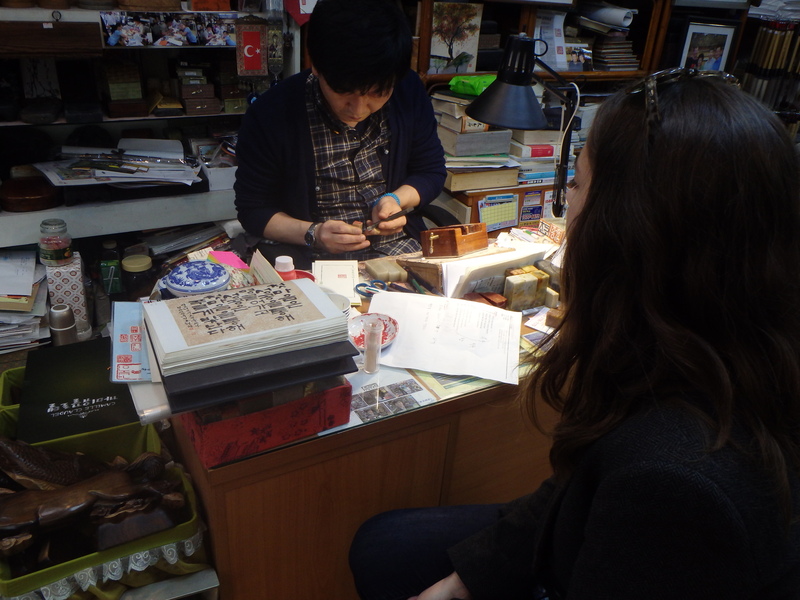 There was a wide range of prices starting at 30,000₩ and going over 100,000₩. 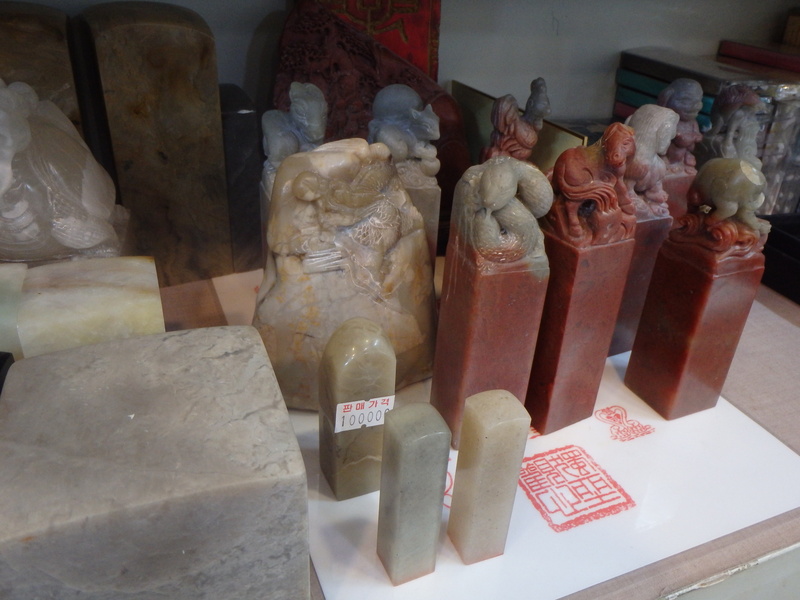 I kept it cheap and went for a jade-like stone listed at 30,000₩. Then I had to write down what I wanted on my dojang. 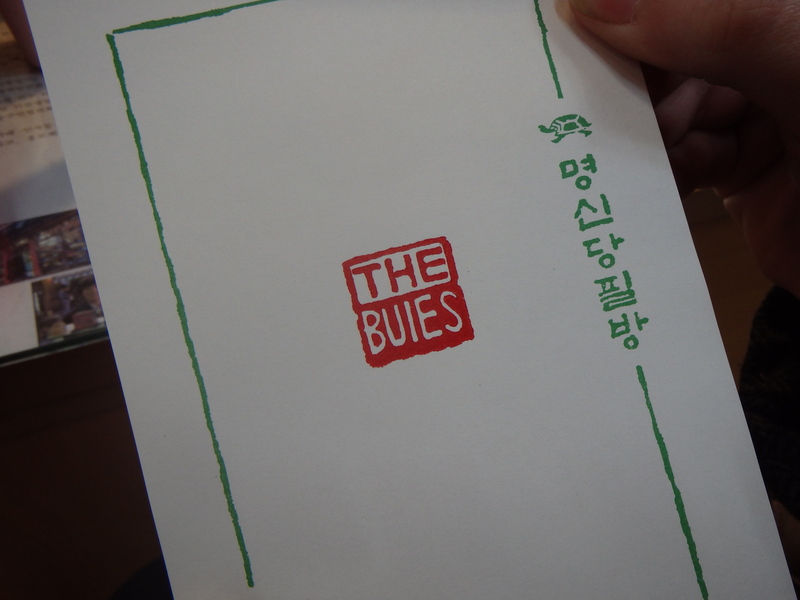 I decided to have ‘The Buies’ done in English so that I could get the most use out of it. He traced the surface area of the stone I had chosen and quickly wrote our name with a paintbrush so I could see how it would look. 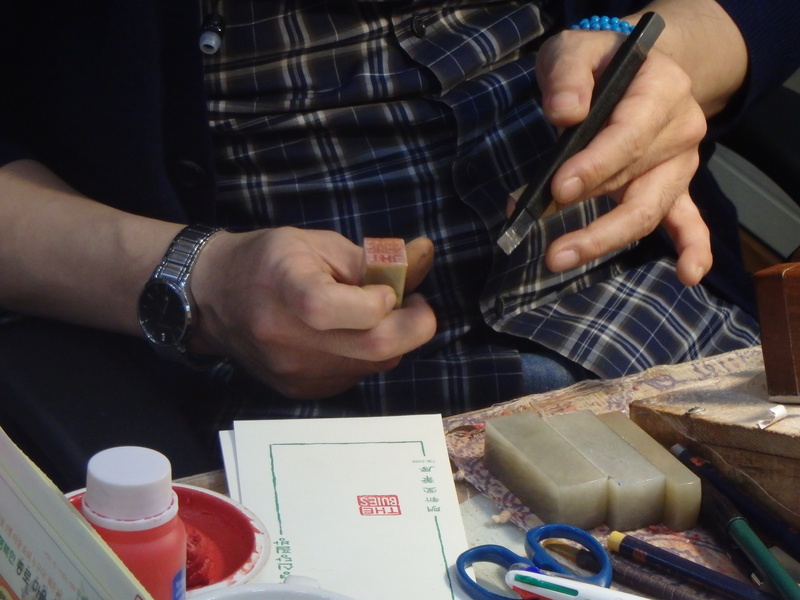 Then he stenciled the letters on the stone in pencil before using ink. 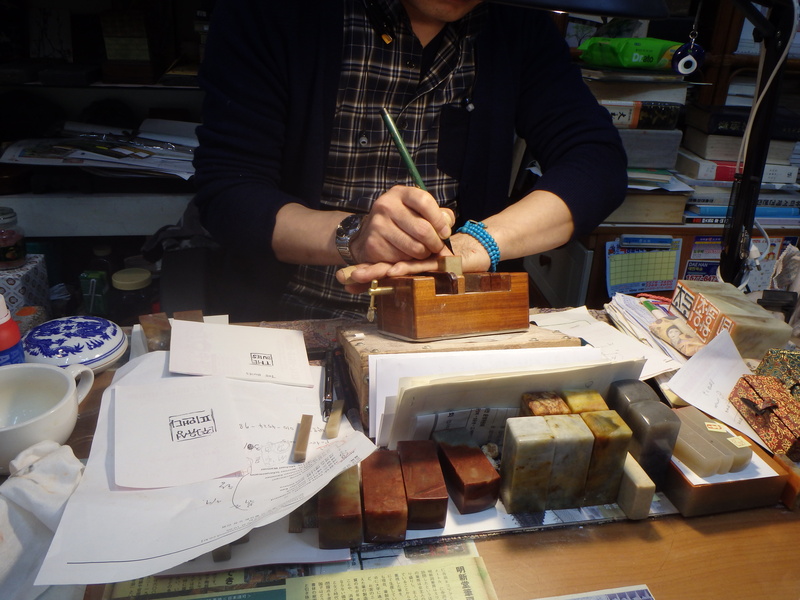 Next he began to carve the letters. The stone I chose was fairly small and it was amazing to me that he could create such precise letters with only one small chisel. He said it would take about 40 minutes to finish the dojang but I wasn’t keeping track of the time so I have no idea how long it took. It didn’t feel like long before he was testing out his handiwork and making slight adjustments. I have been thinking about getting a dojang for a while now so it was wonderful to finally see it in reality! 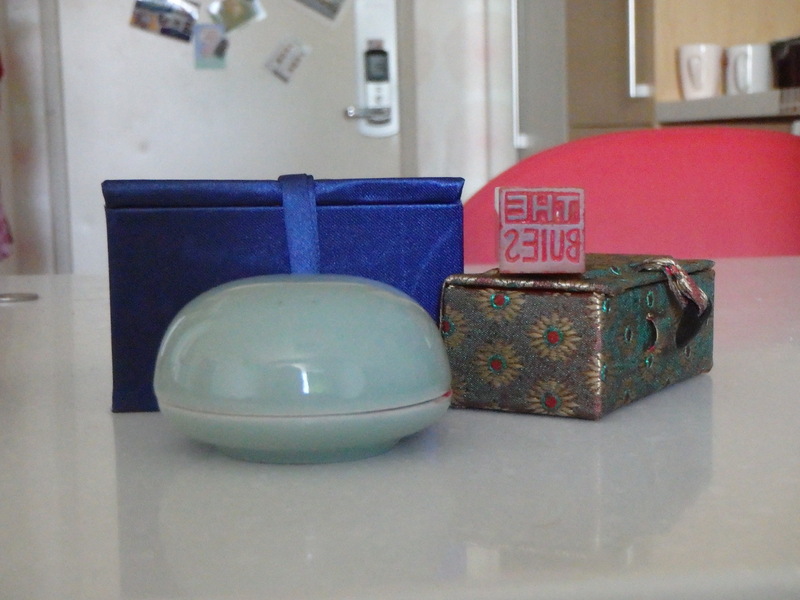 I bought a small container of wax which was an additional 15,000₩ and came in a lovely porcelain dish. I can’t wait to start stamping letters and Christmas cards!